Wheelchairs Against Guns is an organization of exceptional individuals living with physical disabilities due to gun violence. Our mission is simple – to protect children from the dangers of bullying, gangs, and gun violence. Through workshops at inner city schools and churches, we share our stories of personal tragedy to serve as a warning to students and teach them ways to avoid toxic situations through conflict resolution, critical thinking, and self esteem building techniques. Kareem Nelson was born in Harlem New York to Charisse Jackson & Michael Nelson. Raised as an only child by his mother, Kareem was a bright student and exceptionally talented in the sports of boxing and football. As a teenager in the late 80’s, he witnessed the traumatic effects of the crack epidemic on his neighborhood and soon found himself involved in the streets. While in Baltimore Maryland on Father’s Day 1995, the street life gave Kareem his first serious warning. He was shot in the back in over a petty dispute. 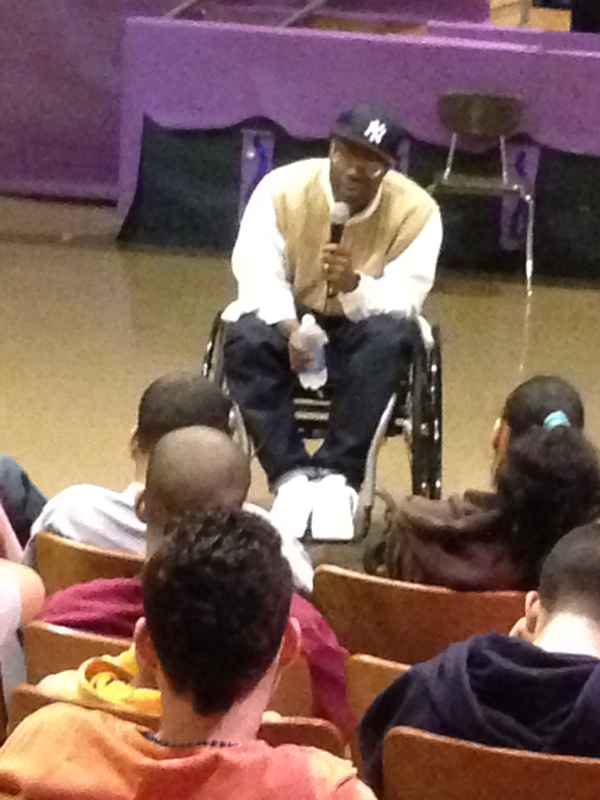 The attack left him paralyzed and confined to a wheelchair. After taking some time for reflection, Kareem became determined to change his life for the better. 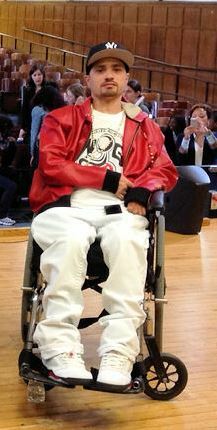 In 2013 he founded Wheelchairs Against Guns to teach inner city kids positive ways to deal with the bullying, gangs, and gun violence they are exposed to in their neighborhoods. Luis Lopez was born in Brooklyn New York and raised in a single parent household by his mother. By his own account, Luis says he didn’t get the proper guidance as a child, so attending school wasn’t important to him. At the young age of 12, Luis turned to the streets. In 1991, when Luis was 14 years old, he was robbed and shot by someone he knew. Fortunately, Luis survived the attack, but a spinal cord injury left him confined to a wheelchair for the rest of his life.